A pizza delivery driver whose premises was attacked by armed robbers has urged police to step up patrols in the east of Kenilworth following three raids in a week. Mark Pendred, a driver for Domino’s in Leyes Lane, felt criminals were not deterred enough by police from trying their luck in Kenilworth. The takeaway was targeted by armed robbers late on Monday May 15, although Mark was not at the premises at the time. Windy Arbour News in Moseley Road was also targeted earlier in the day, which resulted in the arrest of a 35-year-old man from Stratford. And on Wednesday May 17, Tesco Express in Leyes Lane was hit by armed robbers. A 29-year old man from Leamington was arrested under suspicion of robbery and a 22-year-old woman from Stratford was arrested under suspicion handling stolen goods after the incident. But Mark felt the police’s response should have been better. 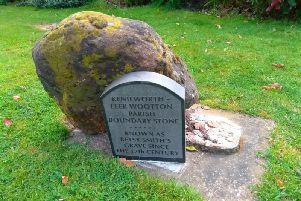 He said: “There used to be a police station in Kenilworth, and they were on top of crime in Kenilworth because they had more officers. “When Domino’s was raided, police cars came from Leamington, but by then it was too late. “It concerns me that they weren’t able to get on top of this. They should have had better protection of the premises. Chief Inspector of Warwickshire Safer Neighbourhood, Faz Chishty, said: “We understand that the series of robberies across South Warwickshire will be worrying to the public. “We want to reassure the public that investigations are ongoing and arrests have been made.